Udis & Tokasz Orthodontics has been creating beautiful smiles in Spring House for more than 25 years. Orthodontics with Dr. Udis and Dr. Tokasz is about creating more than beautiful smiles. It’s about providing an experience that builds confidence, trust, and a sense of accomplishment along with a terrific smile. Straight teeth are only part of what makes smiles so beautiful; smiles are truly lit from within! 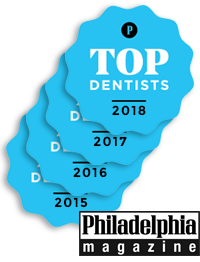 When you choose Dr. Udis and Dr. Tokasz for your orthodontic care, you’re working with doctors who are highly trained, experienced, and caring. We can create the quality results you deserve, whether with traditional braces, Iconix, Clarity™ ceramic braces, or Invisalign® clear aligners. We also offer AcceleDent® Aura accelerated orthodontic treatment for a faster smile! We know how busy your life can become, so we are committed to making our practice convenient and our services efficient. We’ve created this website with valuable information about orthodontics and our practice so you can be well informed about the options available to you. Let Dr. Udis and Dr. Tokasz show you how they create more than beautiful smiles for children, teens, and adults. Contact our Spring House, PA office for a complimentary evaluation today, and start on the road to a beautiful, healthy, and confident smile! No more goop, gagging, or discomfort. Our iTero scanner is the new technology completely eliminates the tray and putty impressions, where the experience is comparable to stuffing a big wad of gum in your mouth.